Set in the iconic former Midland Bank building, The Ned was designed by Sir Edwin 'Ned' Lutyens in 1924. The heritage building will open in early 2017, hosting nine restaurants, 252 bedrooms channeling 1920s and 1930s design, a range of men’s and women’s grooming services (Cowshed, Cheeky and Neville) and ‘Ned’s Club’, where members have access to a rooftop pool, gym, spa, hamam and late night lounge bar. Ned’s Club, available to members and hotel guests, offers a range of rooms and facilities. 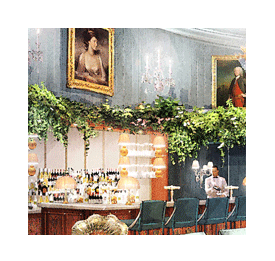 Ned’s Club Upstairs includes a rooftop, with spectacular 360-degree views across London, a pool, Canopy Bar & Restaurant, and Princes Street and Poultry Domes, which will host intimate bars. Dominating the belly of the building is the bank’s original vault, with its twenty tonne, two-metre-wide door, which will house Ned's Club Downstairs and the Vault Room lounge bar. The vault contains over 3,000 stainless steel safety deposit boxes and inspired the design of Fort Knox in the 1964 film Goldfinger. Ned's Club Active has cardio, strength and training equipment, a boxing gym, Pilates, yoga studio and House Ride (spinning). At Ned's Club Relax, the spa, there is a 20 metre swimming pool, hamam, sauna and steam room. Each room channels 1920s and 1930s design, with vintage pieces, hand-knotted Afghan rugs and rainforest showers. 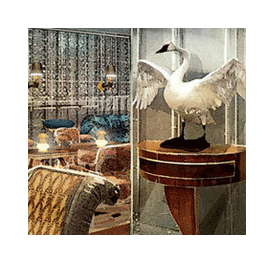 Brass and mahogany furniture, chandeliers and richly patterned furnishings decorate The Ned's 252 bedrooms. Staying at The Ned gives you a temporary membership to Ned's Club. Eight public restaurants in the former Grand Banking Hall serve food that spans the globe, from Britain to Northern Italy, North America to Asia. The offering includes a Cecconi’s City of London, sister restaurant to the Cecconi’s in Mayfair, Berlin, Istanbul, Miami Beach and West Hollywood. Cecconi’s City of London will serve handmade pasta, pizza, seafood and and Italian inspired dishes. There’s a further restaurant and two bars up in Ned’s Club Upstairs. The Ned's six private hire rooms and two terraces are among the building's most elegant spaces - all benefit from natural light and have a dedicated reception area. If you love working in hospitality then joining a world class team at The Ned could be the beginning of a new career, rather than just another chef job. We are due to launch in early 2017 and with eight restaurants operating within the hotel we are looking for passionate, professional chefs to join our team and help the The Ned become a resounding success. Motivational / able to create a winning team spirit. Ability to work effectively as part of a team and work on your own initiative, calmly and when under pressure. Brilliant leadership skills with focus on team’s development, training and progression. Creating menus and controlling costs. First class hygiene and safety standards in the kitchen. Please note: only those eligible to work in the UK or have a valid UK work permit/visa will be considered for the above positions. 28 paid holidays per annum inclusive of bank holidays. Salary exchange schemes, such as childcare vouchers and cycle-to work scheme. Discounted rates at The Ned. 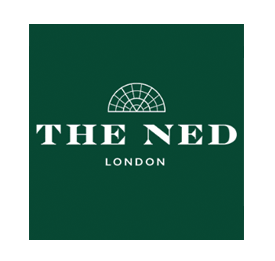 The Ned promises to be one of the most exciting London hotel openings of the decade and we're offering chefs an exceptional opportunity to build their career with a team that has a tireless passion for hospitality. So, if you have great experience and a track record of success in the kitchen we want to hear from you. To apply direct, either click on the relevant job role above or email your CV and a brief cover note to our recruitment team.